The Tawapou is a rare coastal tree found on the Tutukaka Coast. 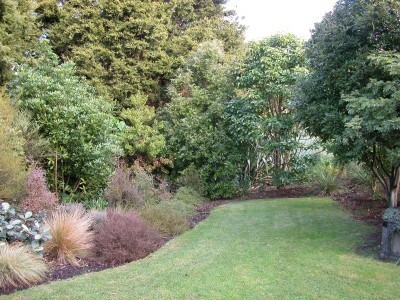 It is one of more than 150 native plants, shrubs and trees you will find growing at the nursery. Tawapou Coastal Natives has rapidly become a major supplier of native plants from New Zealand's Northeast coastline and offshore islands. These plants combine the exotic appeal of the unusual subtropical plant with the reliability of natives that's sought after by today's gardener who has to balance the demands gardening with many other aspects of modern life. Over the past few years Guy and Sandra Bowden have been developing a native plant nursery specialising in plants that grow naturally on the coastal regions of Northland. 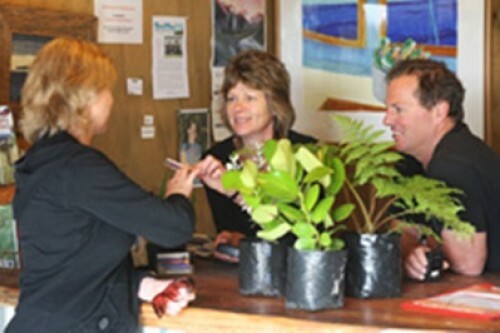 The nursery is located on a coastal farm on the main road between Tutukaka and Matapouri. It is well signposted. Tawapou Coastal Natives began with the nucleus of an idea, a good growing environment, a keen management team and an ambitious business plan. You may purchase any of our plants by visiting the nursery or by contacting us by phone or email. Driving in the long driveway, you feel like you are entering a secret garden with beautiful sculptures and pockets of beauty to entice you further in! Are you feeling you would like some help with designing a garden or landscape plan? 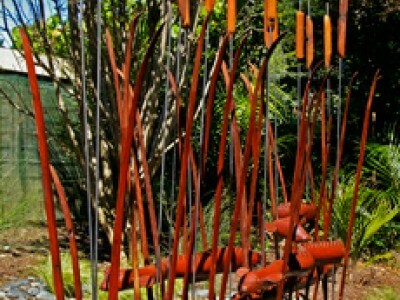 Guy Bowden of Tawapou Coastal Natives, Tutukaka not only has a passion for growing native plants, he also is a very talented sculptor.